Before I start off, I should clarify, this is a 2.5 star book, rounded up to 3 stars. Not necessarily in a bad way, just more...disappointing. I was given a copy of this book, from the author, to read in exchange for an honest review. I was hesitant to read this, to be honest, but the author sounded interesting in our conversations, so I thought I'd give it a try. The fact she describes herself as "quirky" and "cute" in the description had me a little worried, as I tend to not jell well with people who are quick to classify themselves that openly, but I digress. As far as writing goes, this definitely comes across as a memoir or auto-biography. It reads very much like a journal, and for those who like that sort of read, it did have that. 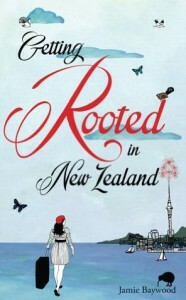 Where the disappointment comes in, is the fact the synopsis hypes humor, hilarity, and things like a "zany jaunt" in New Zealand. I've always been curious about the country, and was hoping for everything that was promised. It, well, it didn't have it. I found myself easily bored, and kept having to make myself re-focus on the story in front of me. I truly wanted to like this story, and I'm a bit bummed that I didn't like it better. The author is an awesome person, and I'm glad she wrote her story to get it out there, it just wasn't my cup of tea. If this sounds like it could be interesting, and you think you'd like it better, it may be worth a try.